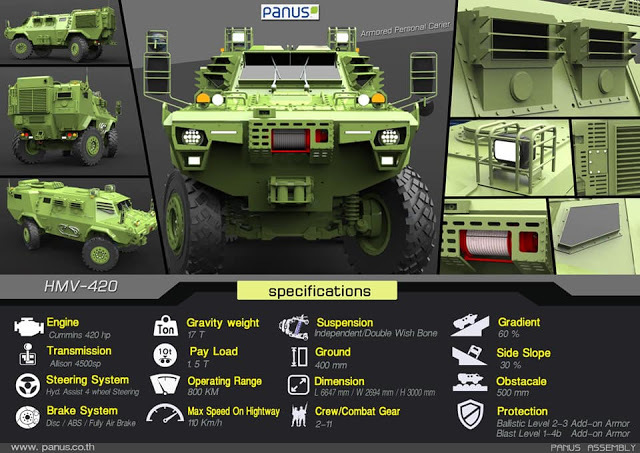 Thai company Panus Assembly has unveiled a 4x4 military vehicle that it hopes to supply to the Royal Thai Armed Forces. 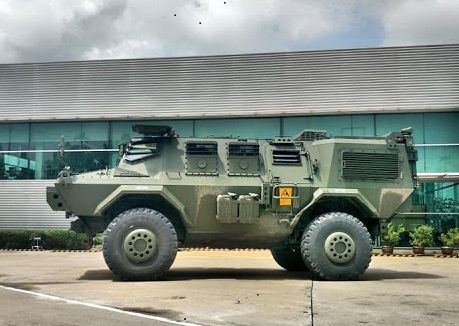 The HMV-420 high mobility vehicle (HMV) is based on the company’s HMV-150 platform, which was unveiled in 2017 and, in turn, is based on a re-engineered and upgraded Cadillac Gage V-150 Commando 4x4 light armoured vehicle. 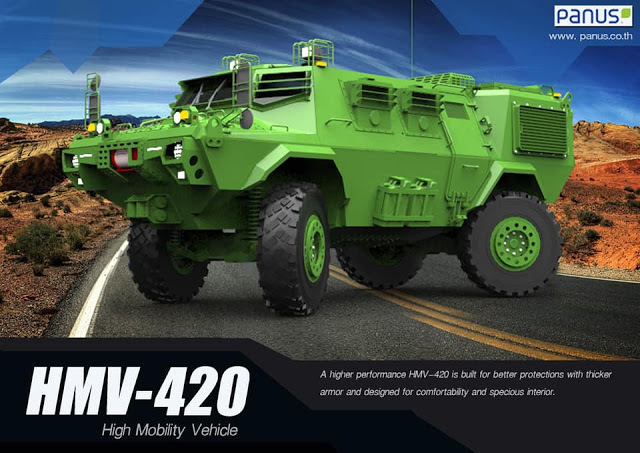 In disclosing details about the HMV-420 in mid-September, the company said it has been built to provide end-users with enhanced protection and a more spacious interior. 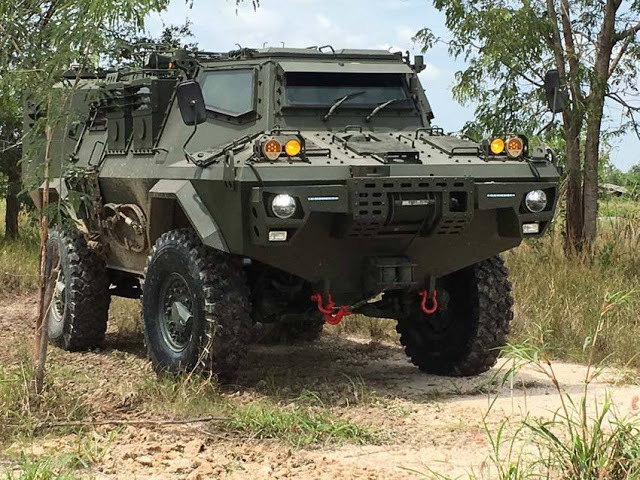 The vehicle presumably derives its name from its Cummins 420hp engine, which has been integrated with an Allison 4500 SP automatic transmission. This is surprising but pleasant news. 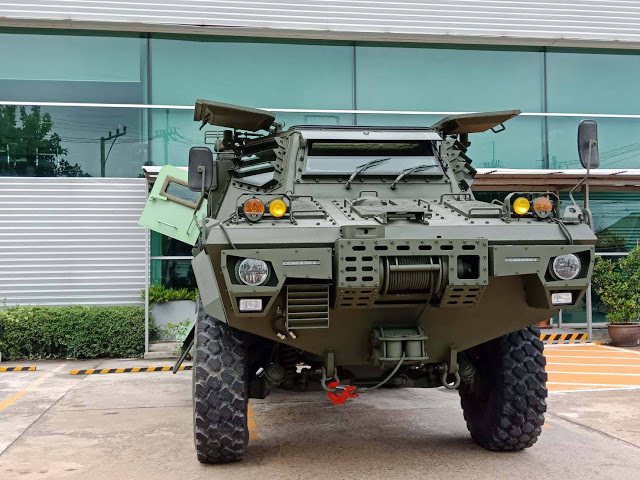 Cadillac Gage was one of the first US manufacturers that was on the wheeled combat vehicle meme...and before it was cool too. They had a whole series of vehicles that mirrored what many are trying to do today. 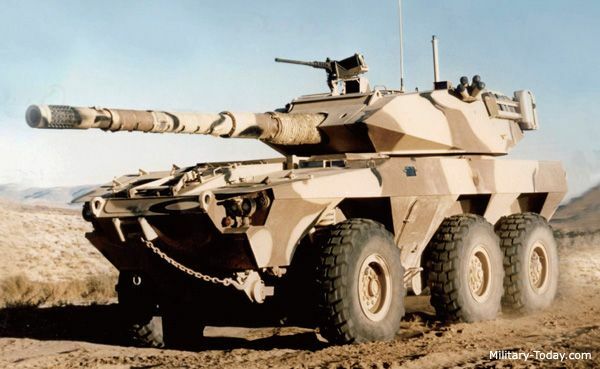 Of course they settled on 4x4 and 6x6 but the mobility was fabulous (for the time damn near outstanding) and their portfolio ran the gamut from APCs to tank destroyers or Mobile Gun Systems as they're called today. What would make this complete? If some corporation bought the plans to the V-600 and modernized that puppy for service today!